Nucleophilic Substitution and Beta Elimination reactions are potentially the most difficult as compared to your organic chemistry 1 course. 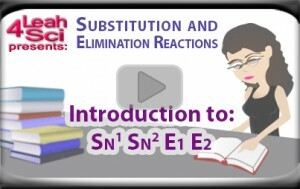 This is Video 1 in the Nucleophilic Substitution and Beta Elimination Video Series. Click HERE for the entire series.